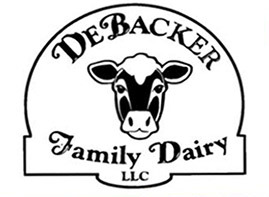 Exciting things are happening here at DeBacker Family Dairy! You can now purchase our products in Wisconsin. Below you will find a list of products that are offered at the Wisconsin stores. If you don’t see these products ask their dairy manager to see if they will order them. Also, we deliver to restaurants and Coffee Houses and now have Half & Half and Heavy Whipping Cream!